2019 Acura RDX Packages: Which One is Built Around Your Lifestyle? Available with four packages and optional Sport Handling All-Wheel Drive (SH-AWD), the 2019 Acura RDX can adapt around your driving needs to create a tailor-made luxury crossover. Upgrading to the Acura RDX Technology Package brings sport seats with perforated Milano Premium leather trim and contrast stitching, plus 19-inch pewter gray metallic wheels. 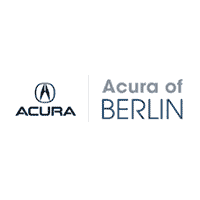 Additional technology includes a 10.5-Inch Head-Up Display (HUD), 16-Speaker Acura/ELS Studio 3D Premium Audio System, and Surround View Camera. Whether you want the 2019 Acura RDX SH AWD with Technology Package for off-roading outside New Britain or arresting A-Spec styling to stand out around Middletown and Hartford, the team at our Berlin showroom can help. For any further assistance, don’t hesitate to contact us directly. 0 comment(s) so far on 2019 Acura RDX Packages: Which One is Built Around Your Lifestyle?